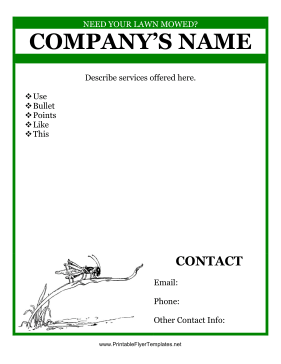 This simple grass cutting flyer is great for a professional lawn service or for a young entrepreneur. The grasshopper gives the poster a cute feel, while the bullet points convey important information effectively. Of course, the border is green as grass!